At nearly 200 individuals as of August 2015, the Ngogo chimpanzee community is by far the largest yet described in the wild. 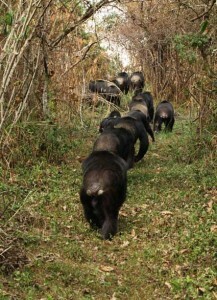 Group of males heading out on patrol. 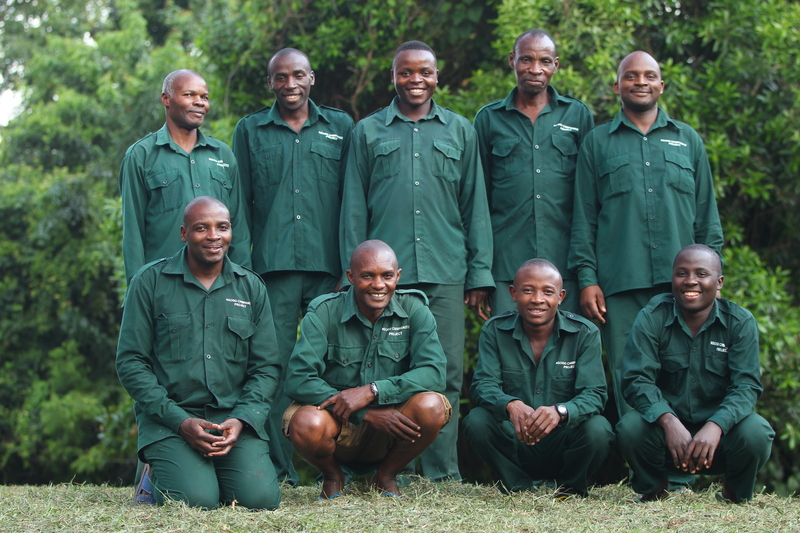 The fantastic Ngogo field assistants and snare removal assistants. 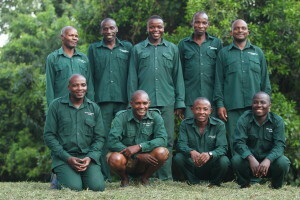 Long-term research on the Ngogo chimpanzees was initiated by David Watts (Yale University) in 1993 and John Mitani (University of Michigan) in 1995. Kevin Langergraber (Arizona State University) joined the Ngogo Chimpanzee Project as a graduate student in 2001 and as a co-director in 2011.